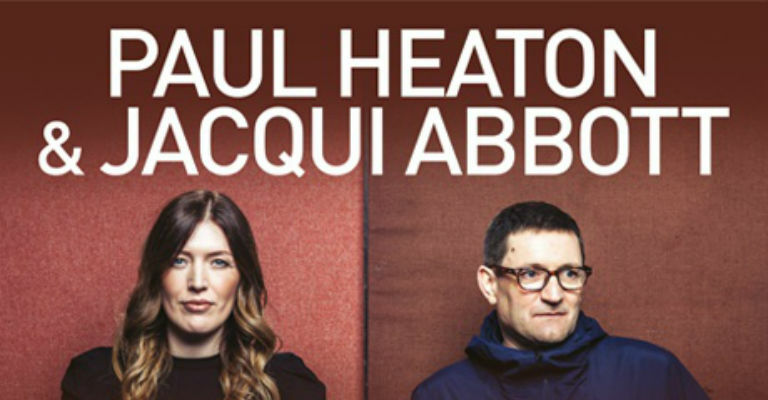 Paul Heaton and Jacqui Abbott, whose eagerly awaited new album Crooked Calypso is released on 21 July 2017, have announced a tour of Ireland and the UK in the autumn with a date at Sunderland Empire on Thursday 23 November 2017. Paul and Jacqui last played live at their Beauty In The East show at Hull’s 23,000 capacity KCOM Craven Park Stadium last month. Paul Heaton and Jacqui Abbott will release their third album ‘Crooked Calypso’ on Virgin EMI on 21st July. Crooked Calypso boasts all the hallmarks of Heaton’s peerless songwriting: songs buoyant with melody, and redolent with biting wit, but also real emotion. Paul Heaton, one of the UK’s most successful songwriters with some 10 million album sales under his belt, first came to public attention in the early 80s as front man of Hull-based indie poppers The Housemartins (the same group that spawned Norman ‘Fatboy Slim’ Cook), best known for their third single ‘Happy Hour’ and their No 1 acapella Isley Bros cover ‘Caravan Of Love’. The Housemartins released two albums ‘London 0 Hull 4’ (’86) and ‘The People Who Grinned Themselves To Death’ (’87). In ’88 Heaton formed The Beautiful South, who released 10 hugely successful albums – ‘Welcome To The Beautiful South’ (’89), Choke (’90), ‘0898 Beautiful South’ (’92), ‘Miaow’ (’94), ‘Blue Is The Colour’ (’96), ‘Quench’ (’98), ‘Painting It Red’ (2000), ‘Gaze’ (’03), ‘Golddiggas, Headnodders & Pholk Songs’ (’04) and ‘Superbi’ (’06). In 2001 Heaton took a break from The Beautiful South and released his first solo album ‘Fat Chance’. The Beautiful South called it a day in 2007 citing ‘musical similarities’. Jacqui Abbott was lead vocalist in The Beautiful South from ’94 to 2000 and she sang many of their signature hits including ‘Rotterdam’, ‘Perfect 10’, ‘Don’t Marry Her’ and ‘Dream A Little Dream’. Paul Heaton went on to release two further solo albums: ‘The Cross-Eyed Rambler’ (’08) and ‘Acid Country’ (’10). In 2011 Heaton wrote a musical called ‘The 8th’ based on the Seven Deadly Sins and asked Jacqui to sing one of the parts. They have since released two acclaimed albums as a duo: ‘What Have We Become’ (’14) and ‘Wisdom, Laughter and Lines’ (’15).